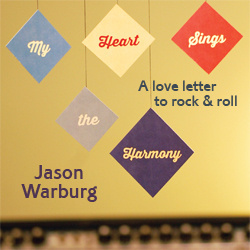 It was only a few days ago on the Vault's staff e-mail list that Jason Warburg casually praised the John Mayer Trio. Being the impressionable youth that I am, and having listened to practically nothing but Elton John for two months now, I was ready to give Mayer the ol' college try. Truth be told, John Mayer and I were not tight for a while. I'd see him on TV and the man seemed genuinely funny. You tell me what other musician would dress up as a bear and visit with his fans before a show. However when it came to his music, the amusement faded away. None of his big songs such as "Your Body Is A Wonderland" grabbed my attention, and so Mayer to me was just a funny guy whose humor far outstripped his talent. I was wrong. Something about Try! implies that the casual Mayer fan wouldn't enjoy it. This is not an album comprised of soft, pretty, pop songs comparing your girlfriend to Universal Studios. This is a blues musician coming out to party, and it's done in the way God intended -- a power trio. Obviously, Mayer is the person who would be most responsible for this album's success, but praise must given to his industry veteran bandmates Steve Jordan and Pino Palladino. The grooves the two get going are really something to hear. More often than not their playing isn't flashy, but it's constant and intense, simmering below Mayer's lead guitar. But, as I just said, Try! succeeds because of Mayer. What struck me first was how good of a guitarist the man is. Throughout the album he unleashes a devastating array of hooks and riffs that would impress anybody, especially those (like me) who thought the man lacked chops. By the time Mayer's done tearing through the solo on the trio's cover of Hendrix's "Wait Until Tomorrow," there should be no doubters. Mayer's solos are impressive, but the most striking aspect of his play is in the subtleties. His work on "Out Of My Mind" is classic blues, with short, sweet licks popping up here and there, as Jordan and Palladino keep a steady, almost lethargic beat. The fact that Mayer can switch back and forth between balls-to-the-wall soloing and restraint further highlights how good he is. The only true weakness I can find in Try! are Mayer's vocals. For the most part, they are effective, especially on his own material. However, there are times when it sounds like Mayer is reaching, such as the refrain of "I've Got A Woman." Still, when keeping in his range and not sounding too much like Dave Matthews (which is less frequent than I expected), Mayer is best. I can finally now say that John Mayer's humor matches his musical skills. If you aren't his biggest fan, just give this disc a try, and see if you don't gain some respect for the man. Now, here's hoping he follows this approach on the next studio album. © 2006 Jeff Clutterbuck and The Daily Vault. All rights reserved. Review or any portion may not be reproduced without written permission. Cover art is the intellectual property of Columbia, and is used for informational purposes only.